Vegetable tureen produced ca. 1960 by Johnson Bros. 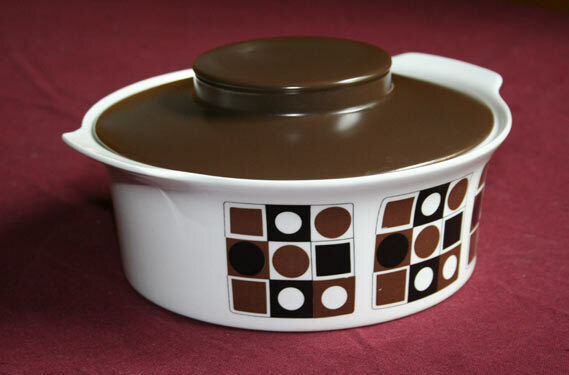 The shape is reminiscent to Meakin, the pattern contemporary brown retro print design. Johnson Brothers were set up by the break away grandsons from the Meakin dynasty in 1882. In 1968 they joined Wedgwood. This entry was posted in 60s, Dining and tagged Johnson Bros, Meakin, Tureen. Bookmark the permalink.